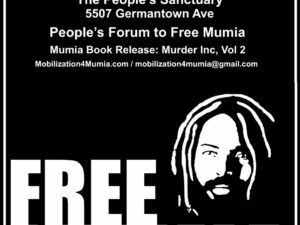 Attorneys representing political prisoner Mumia Abu-Jamal filed a lawsuit in federal court in Harrisburg, Pa., on Nov. 10 seeking to overturn a Pennsylvania censorship bill that had been quickly passed in October and then signed into law by outgoing Gov. Tom Corbett. The Pittsburgh-based Abolitionist Law Center, the Amistad Law Project and the Roderick and Solange MacArthur Justice Center together filed the first challenge to Senate Bill 508, known as the Revictimization Relief Act. 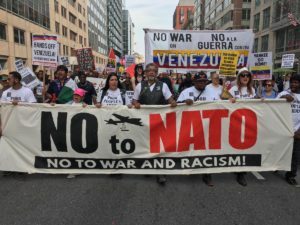 They acted on behalf of Abu-Jamal, Prison Radio, Educators for Mumia Abu-Jamal, the Human Rights Coalition and two other Philadelphia-area prisoners, Kerry “Shakaboona” Marshall and Robert L. Holbrook. On Oct. 5, two dozen graduates of Goddard College Undergraduate Programs in Vermont heard a pre-recorded commencement address from Abu-Jamal, who had been a student at the college in the late 1970s and earned a Bachelor of Arts in 1996 while he was on Pennsylvania’s death row. His address was played at the commencement despite police intimidation and threats of violence against students and faculty. Pennsylvania Corrections Secretary John Wetzel acknowledged that prisoners have a constitutional right to phone access and admitted that the state could not prohibit the address from happening. On Oct. 6, however, Corbett, other right-wing politicians and members of the Fraternal Order of Police gathered in Harrisburg to introduce legislation designed to silence Abu-Jamal and other prisoners. House and Senate versions of the Pennsylvania bill, which opponents labeled the “Mumia Muzzling Act,” were quickly rushed through the state Legislature. Corbett signed the bill on Oct. 21 in Philadelphia at 13th and Locust streets, the site of the 1981 shooting of Philadelphia police officer Daniel Faulkner, for which Mumia was convicted in 1982. 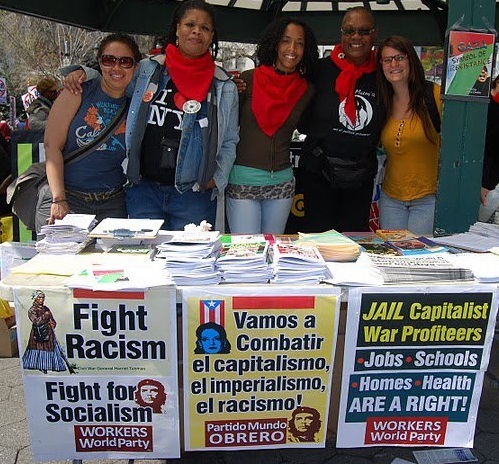 Prior to his conviction, Abu-Jamal was an internationally celebrated, award-winning Black writer and radio journalist, a former member of the Black Panther Party and one-time president of the Black Journalists’ Association. His writings and commentaries exposed the racism, brutality and corruption of the Philadelphia police department. They are credited with helping to lay the foundation for Philadelphia being one of two police departments indicted by the U.S. Department of Justice. Abu-Jamal maintains his innocence in the shooting of Faulkner. His case has gone through decades of the appeals process, including a successful challenge to his death row sentence. This is not the first time Pennsylvania has tried to silence Abu-Jamal. In 1996, after the Peoples Video Network aired “The Prison-Industrial Complex,” a filmed conversation Abu-Jamal had with Monica Moorehead and Larry Holmes of Workers World Party, the Pennsylvania Department of Corrections bowed to FOP pressure and banned in-person broadcast media visits for all prisoners. In 1997, Temple University, threatened with funding cuts by then Gov. Tom Ridge, canceled all Pacifica Radio programming on its radio station because Pacifica’s Democracy Now! program was scheduled to air commentaries by Abu-Jamal. In 1999, Abu-Jamal successfully challenged an attempt by the state to prohibit him from writing after the publication of his first book, “Live from Death Row.” He has gone on to write seven more books, published in nine languages, with two more set for publication in 2015. 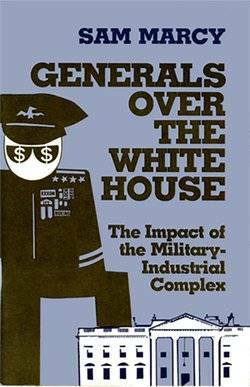 He has recorded over 3,000 essays, many of which have appeared in Workers World newspaper. There have been three major documentaries on Abu-Jamal, including “Mumia: Long Distance Revolutionary,” currently airing on the Starz network. The new Senate bill says that if a person convicted of a personal injury crime speaks in a manner that produces “a temporary or permanent state of mental anguish” to victims of that crime — as defined by their alleged victim — a district attorney, the Pennsylvania attorney general, or the victim can sue the prisoner, or anyone broadcasting their words, for monetary damages in civil court.